The International Educator (TIE) is experiencing record growth this year in the face of teacher layoffs in the U.S. This mirrors the international school market overall which has experienced explosive growth over the past 10 years with the number of international schools more than doubling across the globe. Many international schools follow an American curriculum in addition to a variety of other systems designed to service students overseas. 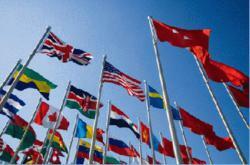 International schools can be found in virtually every country in the world. This year is shaping up to be a banner year for The International Educator (TIE) and the international schools market in general. In 2011 nearly 350 new schools were added to the network of thousands of international schools worldwide. ISC Research, a UK-based organization dedicated to analyzing, researching and tracking developments in the international school market, calculates that there are currently over 2.8 million students enrolled in international schools around the world. This means that there are tremendous opportunities for teachers all around the world who speak English. Teachers who are interested in teaching overseas for the first time will find it easier to teach in the curriculum for which they already have experience (i.e. American, British, etc.). This should not be a limiting factor because with experience and training, teachers will soon discover that they are qualified to teach in a variety of formats. Here is a quick guide to understanding the various types of international schools found all over the world. American schools, located in capital cities around the world, were originally created to service the educational needs of American citizens working abroad at the embassies or in private companies overseas. Surprisingly, many teachers find that these schools follow a similar curriculum to that of their local districts. There are currently 197 American overseas schools in 138 countries that are directly or indirectly assisted by the U.S. State Department to promote an American-style program for citizens abroad. "A vast majority of these positions are available at The International Educator (TIE) website," according to Forrest Broman, President of TIE. Similar to the American schools abroad, there are many elementary and secondary schools around the world that offer the curriculum of one of Canada's provinces. For example, there are schools with accreditation from Ontario, British Columbia, New Brunswick, Alberta, etc. At these schools, mostly Canadian teachers and staff utilize Canadian educational materials providing the children of Canadian expats an excellent quality of education, in dozens of schools in over 30 locations throughout the world. The old expression that the sun never sets on the British Empire is still true if one looks at the number and location of British schools around the world. There are more than 2,200 British schools in every corner of the world contributing to the large number of international schools worldwide. This can be misleading, however, since these schools do not actually receive formal recognition or support from the British government. While many of these schools follow the British national curriculum there is wide variance in their structure and quality. This is because British schools outside the UK are private entities with no governmental monitoring of their programs. COBIS (Council of British International Schools), is a membership association of British schools of quality that is designed to help prospective parents and educators determine which schools meet the standards of a true British education. What was once seen as a system designed to provide uniformity for the children of expats living and working abroad, (primarily in Europe), has grown since its founding in 1968, into a premiere worldwide educational system in 141 countries servicing nearly a million students aged 3-19. The IB program is now seen as the educational gold-standard around the world, including the United States, which boasts more IB schools than anywhere in the world. In fact, a recent survey of university admissions officers in some of the 141 countries that offer the credential, found that it is the "the top passport to international education." While some international schools have an American, Canadian, British or other slant, some simply call themselves an international school because they have incorporated multiple approaches from different formats, and provide an international curriculum with a global perspective. Not all international schools deliver the IB program (just as not all IB schools are international), but one common thread that runs through these schools is the desire to create global citizens who have an understanding of other countries, cultures and histories beyond their own national perspective and/or system. The International Educator (TIE), located in Hyannis, MA, is a non-profit organization that for 25 years has been dedicated to developing links among teachers and the extensive American and international schools network worldwide. TIE publishes a quarterly newspaper featuring the latest in international school news and developments for K-12 educators around the world. TIE’s website, http://www.tieonline.com, offers the widest selection of K-12 teaching and administrative jobs available anywhere in the world.